Perhaps you’re an expert on blockchain technology, you’ve never heard of blockchain technology, or you’re somewhere in between. Regardless, it’s landed on the beach and it’s here to stay. Given blockchain’s growth in importance and use, strategic discussions on this technology have been taking place for quite some time. In fact, very recently, more than 60 accounting firm leaders and innovators gathered for a symposium that was hosted by the Association of International Certified Professional Accountants and CPA.com. The focus was on the impact of the technology in accounting, auditing, tax, and finance. The rise of blockchain technology has led to a need for more understanding in the CPA profession, sparking the Blockchain in Accounting Symposium that took place on May 2. Being part of a larger collaboration with the Wall Street Blockchain Alliance, a leading nonprofit trade association promoting the adoption of blockchain technology across global markets, the event addressed the implications for the accounting profession. Far beyond currency, indeed. 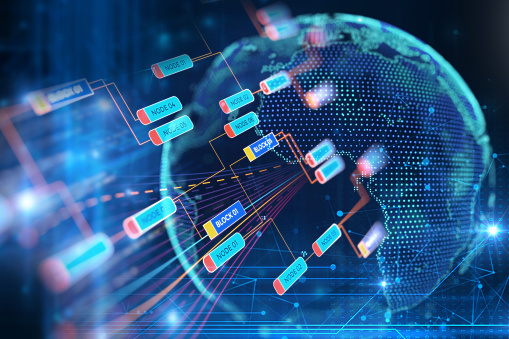 Don Tapscott, in his book called The Blockchain Revolution, makes the point that almost anything you can transmit electronically–which is almost everything today–can be securely transmitted, accounted for and verified via a blockchain. That’s deeds, mortgages, stocks, transactions, inventory–all of that is ripe for blockchain.